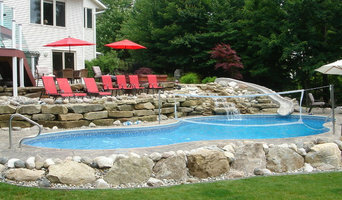 Majestic and Elite Landscaping is divided into two separate divisions; the construction and the maintenance divisions. Here at Majestic and Elite, our employees thrive to satisfy our customers in ways that other companies cannot. Majestic and Elite Landscaping is a growing business in a small community that is excited about servicing not only the community we are located in, but the local business' and residents in the surrounding area. Every year our team strives to find ways to better service the community and the individuals within it. Our company only uses the best products and highly knowledgeable staff to solve and create your maintenance problems and ideas. We guarantee to satisfy all of your needs, big or small. Design Install Maintain. Lake homes are our specialty! Bringing dreams to reality...Evergreen Landscaping Services Inc., a fully licensed and insured company, has been in operation and owned by Larry Slagh for over 35 years. Widely recognized for his lifelong success in the industry in addition to his crew of specialized designers and installers, we at Evergreen are capable of fulfilling the highest standards of landscape performance. 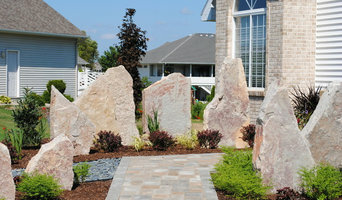 From the first consultation to design-installation and maintenance, Evergreen Landscaping is committed to providing the highest quality of customer service, as well as honest and unique craftsmanship offered in this industry. It is our professional responsibility in addition to our personal passion and interest in the landscaping industry to treat every project as if they were our very own. From the most spectacular outdoor living spaces to the most distinct landscapes, we pride ourselves in our ability to combine our professional expertise and elements of extraordinary design with your thoughts and ideas about the masterpiece.